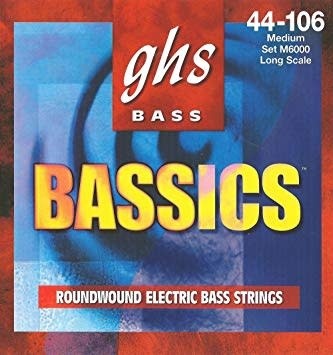 Bassics roundwound bass strings combine a nickel plated final wrap with a stainless steel underwrap to give you brilliance, sustain and volume. Bassics roundwound bass strings combine a nickel plated final wrap with a stainless steel underwrap to give you brilliance, sustain and volume. The hex core wire and solid wound final wrap with unsilked ends bring you a great bass string at an economical price.